The National Advisory Committee on Immunizations (NACI) recommends vaccines to protect against harmful vaccine-preventable diseases. All BC children are offered free vaccine protection against many diseases. 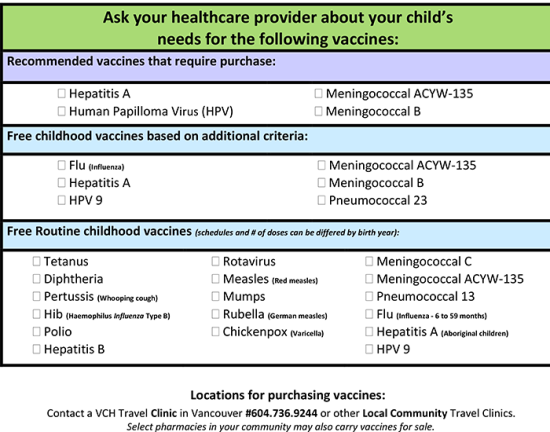 Additional vaccines are also recommended for purchase.